It’s lovely to get something for next to nothing and when you’ve forked out for beautiful books for your children, it’s nice to print off a free book plate for the inside. Free printables are taking off big time, giving artists exposure and making books that bit more special with personalised plates. Just look at these beautiful designs from Babyology fave Bee at Little Beehive (above right). 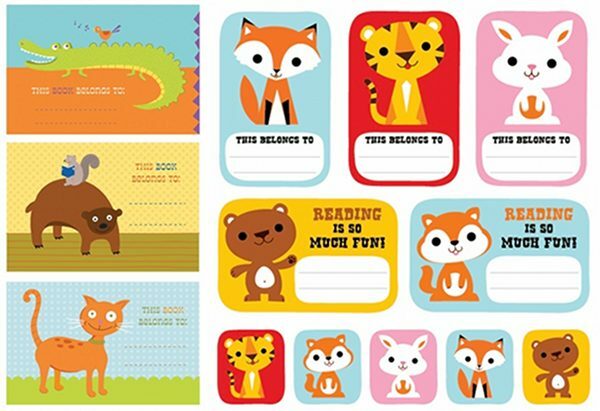 Those cute critters can adorn the inside page of every book for just the cost of a piece of paper and a little ink! 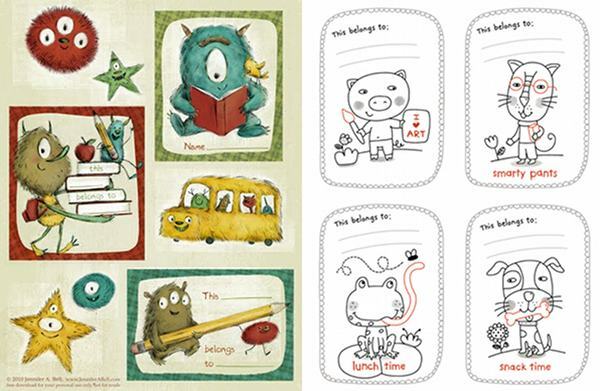 You can have fluffy monsters, and black, white and red line drawings too so print them all off and get sticking. Think of your children opening up their childhood books for their own children one day and seeing these gorgeous book plates. Of course we’re going to encourage you to support the artists who so kindly donated their work, so check out Little Beehive‘s exquisite store. Download the whole lot at We Love To Illustrate, where you can get to each artist’s website from the side menu.